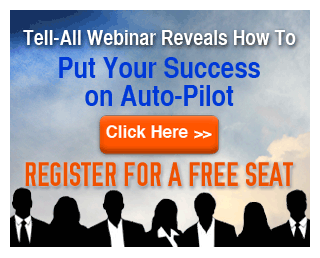 Natalie interviews personal development gurus and inspiring people from all over the globe on her super popular online show! What if I told you that by being still, and using the power of your mind, you could change the entire world? 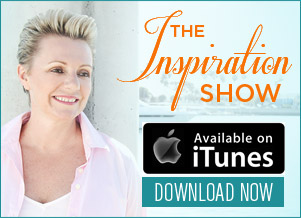 Well, it’s possible, and this exclusive episode of The Inspiration Show reveals how! My guest is the founder of “The Stillness Project”, Tom Cronin, and he discusses little-known benefits of meditation that could inspire you to practice it daily. If you want to discover how to use meditation as an instant tool for bringing about contentment, peace, and harmony, then don’t miss this inspiring episode. NL: Hi everyone. My name is Natalie Ledwell and this is The Inspiration Show. Today on the show I have a very good friend of mine that’s joining me while I’m here in Sydney, he’s also in Sydney. We’re going to be talking about his business and an amazing event that we’re going to be both speaking at in May of this year on the Gold Coast of Australia. But before I introduce my special guest, I just want to remind you that once the show is over, don’t forget to click the link below this video so that you can download the free ebook version of my bestselling book “Never In Your Wildest Dreams.” Now, let me introduce my special guest and good friend Tom Cronin. How are you Tom? TC: I’m great. Good to be here. Thanks Natalie. NL: Now Tom is from the Stillness Project. So darling, can you just give us a little bit of a background about how you fell into that and what the Stillness Project is? TC: Yes. I’ll try and keep it short because it’s bit of a long story that goes back 26 years but I started out as a broker in finance of all places and got really swept up in to that whole industry. It was fast and furious and there were lots of drinking, drugs, and working extremely hard with a lot of adrenaline. So combined, all of that was like a bonfire and before long my nervous system really sort of started to capitulate with the effects of that type of lifestyle. And after about 9-10 years in that job, I end up having, I guess kind of like a nervous breakdown, extreme panic attacks, depression, anxiety, insomnia, agoraphobia, had to leave my job, couldn’t leave the house, was put on pharmaceutical drugs, seeing psychiatrists and it became like a pivotal turning point in my life where I had to choose between 2 different paths of going down that western medicine method or looking for an alternative and that’s when I discovered meditation and it was just phenomenal what happened and surprisingly I went back in to my job, the same job with the same clients, same company for 16 more years which blows people away that after 26 years in that career you know, in finance on a trading room floor was quite phenomenal really but I recently left that and what inspired me while I was a broker was just the impact of meditation. It was just phenomenal you know, it allowed me to sustain that long term career and be really one of the most successful brokers in the industry and so I decided that I wanted to bring this to the world in a big way so that’s when I started the Stillness Project while I was still a broker and was working part time, teaching meditation and running retreats and then eventually it just became almost like a choiceless option for me to leave finance and really fulfill my time of my life purpose and that was where the Stillness Project was born and what I’ve been doing for 5-6 years now, which is bringing meditation, inspiring people to learn to meditate and bring meditation to the world as much as possible. NL: Yeah, it’s awesome. And I know that you have reached like hundreds of thousands of people so far but that’s about to explode with this latest project, a new project that you are working on. So let’s expand a little bit on what that’s looking like. TC: Yeah. You know, typical me, Now, I can’t do things by heart, I guess it’s my nature from when I self-destruct, doing the drugs and alcohol and meds will do that and will full blown away. So then, when it comes to sharing meditation with the world, I decided to do that in a big way as well and we decided that a really great way to share this message with the world is with a film that was shown in cinemas around the world and so that started about 6 years ago and that project was called “The Portal”. And “The Portal” really is a look at what’s on the other side of thinking and feeling in physical forms, which is that deep stillness that we get in a meditation experience. Well Samatha is what the Buddhists call it but it’s also what’s on the other side of our lives and humanity as a collective if we are able to shift our state of mind and, you know, the film represents that we’re at a tipping point. Sort of a fork in the road for humanity that we can go down in one path which is looking fairly treacherous and possibly even unstable and unsustainable for a human species, and that’s a high probability that we are at a point now with our actions and our desires and our greed and our lack of consciousness in the way we live, our lives could actually be self-terminating, which is an interesting proposition. And you’ll be able to find a lot of information that supports that argument. But then on the alternative side to that is we also have an incredible state of mind that we can move in to with an open heart and really high level of intelligence that has the solution to our problems. It sees us moving in to what ancient Vedic scholars would call Satya Yuga which is an age of enlightenment where we live harmoniously not just amongst ourselves but with nature. And so this film was all about bringing this idea to the world and we show that through 6 personal stories that all had crisis moment like I had a crisis moment and my life changed dramatically as our 6 stories did and as a human collective species could as well if we change our state of mind through meditation. So it’s kind of like the crux of the film and the book that is coming out is that it’s looking at 6 personal stories that all transformed through meditation and moved their way out of a crisis period and we have 3 experts that share this sort of global macro pictures from their own philosophical view point which is yeah, it gives a lot more depth to the story. NL: Yeah. And I’m so excited to see the finished product because I know that you’ve been working on this for some time. And I think it’s a message that’s time has come. Now it’s a time where we, there’s the catalyst of what’s happening you know, politically that’s happening on the world stage that’s helping a lot of people kind of wake up out of apathy and indifference and go “Okay, hold on a minute”, like if I feel more harmonious, they are feeling like they’re out of control. This is the way for them to be able to understand how to get in more coherence you know, with the environment around them and the people around them as well. TC: Yeah, absolutely. You know, we present that crisis isn’t something that you’re a victim of, it’s not something that we want to stay in for long periods of time, it’s actually a cue for change and it’s a function of evolution and it’s like the little Johnny getting smacked because he’s putting a knife in the power socket. You know, it’s actually part of what needs to happen for his evolution and his growth. NL: Yeah. 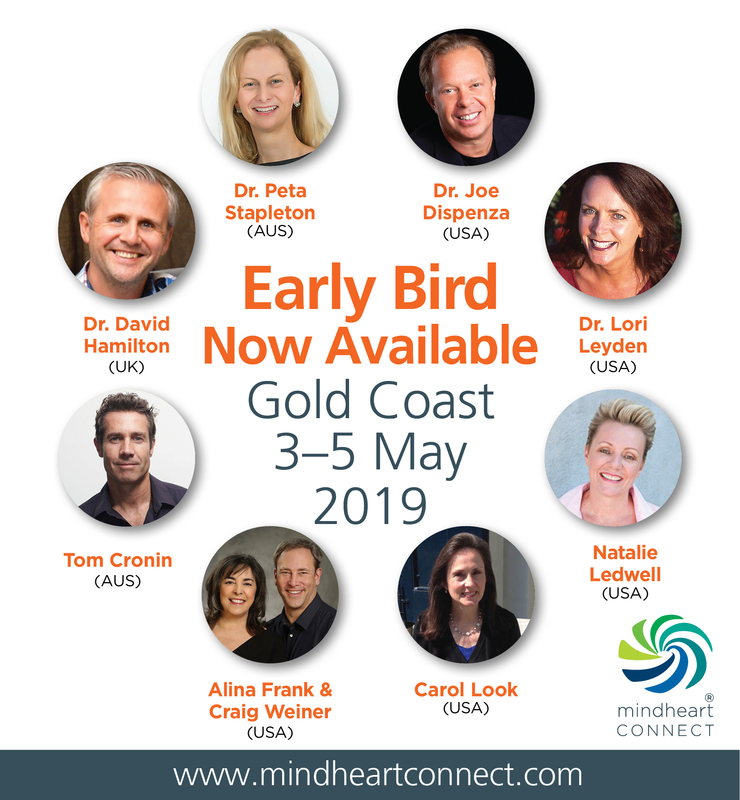 So let’s talk about this event that we’re going to be, both at together, so this is going to be May 3rd to 5th this year on the Gold Coast in Australia and it’s the Mind Heart Connect event which you know, and their tagline is creating resilient lives. So I’m excited because you know, there is you and myself but then there’s also good friends of ours like Dr. Lori Leyden, you know, we’ve got Dr. Joe Dispenza, and Dr. Peta Stapleton whose doing some incredible work in getting EFT in to schools and tapping and really getting, I think she has got like a grant, the first government grant to actually look at the effects on how this is actually helping a lot of people. So it’s an amazing event that I’m grateful that we’re both speaking at but what are the kind of things that you’re going to be covering while you’re at the event. TC: Yeah, I guess I’ll work with my own specialty which is, you know, stress management and meditation. So I’m running a workshop all day on a Friday which is a deep exploration into meditation techniques. They will be well and truly equipped with the art of meditation, long term benefits of meditations, how to meditate, and everything that they need to know around incorporating meditations in to their lives and what’s beyond you know, if you do sustain a longer term meditation practice for you to open up and access your greater capacities as a human being. So I’d say I guess the core focus what I’ll be working on which I can’t wait…(inaudible) seeing some of the amazing people there as well. TC: Yeah, I can’t wait to be doing that with you. It’s going to be fantastic. I think I need that. NL: Because that’s the thing, I mean like for a lot of us it’s like what do we want. And I know that with this event, you know, when you walk away from it, it’s not like you, you know, it’s like one of these motivational things where you go in and you’re motivated for the weekend and then get back to Monday and you go back in to your old routine, you know, what you’re learning at this event are specific tools and techniques and skills that you take away with you. You know, like the meditation that you will be learning with Tom, I know that you know, Dr. Lori Leyden and Dr. Peta Stapleton will be teaching tapping, you know, it’s one of the most effective tools when you’re looking at getting rid of trauma and releasing limiting beliefs, you know, moving through all of that, you know, and even we have a lot of people that are tapping when they’re watching their mind movies. So you know, a lot of these skills that you’ll learn from this particular event are complimentary to each other which is why I think Kate Helder and Dr. Peta have done a great job of assembling you know, Dr. Carol Look who’s going to be there, it’s a great team of people that’ll be there, that you walk away a different person. You know, you get to see how you can use your mind to really create a better life for yourself. And to see things differently and to be able to handle life differently. Like what are some of the amazing benefits that you see from people that are practicing meditation on a regular basis? TC: Yeah. It’s just phenomenal you know, and again, just reiterating what you’re saying, to give people the tools, you know, I see so many seminars where people walk away with this fist pumping hype but they’re not really having things on a daily basis to integrate in to their daily life and there’s a lot of slippage that happens so you know, having the number of tools and you know, you and I both being using tools for our own successes and it’s really such an important part of a day. If you look at anyone that’s successful and I love Tim Ferriss’s book Tools Of The Titans. So with meditation, I constantly see people just having better brain functionality because when you’re stressed your brain actually contracts and you’re using a very minuscule part of the brain when you’re in fight-flight which is very primal reptilian part of the brain. This whole creative frontal intuitive and cognitive part of the brain just really starts to contract and shrink as far as its usage. So we see people becoming a lot more creative, a lot more dynamic, a lot more bigger with their visions, and a lot more fearless about their possibilities in their life and it comes from a deep state of stability and calmness, that’s the other thing that happens, it’s not from like a feverish sort of hyper-stimulated anxiety sort of state where they’ve got to get things done or else they’re going to be miserable. It’s like, I already feel quite calm and happy just within my own ride and I quite often get emails from people going, I don’t know why but I actually feel happy today because normally we have a ‘why’ with their happiness, I feel happy because of this. And if this didn’t work then I don’t feel happy where as what we say with a lot of meditators is just feeling a deep sense of contentment and happiness and calmness by simply being and then from there that’s the foundation that they build their actions on and completely changes the dynamic of why you go in to action, not because I want to get fulfilled or get happy, it’s as an expression of the happiness that I already have and it’s a very different way, I guess the way I say it is putting the horse before the cart. NL: Absolutely, and you know, having been operating from that state gives you choices. You know, you could choose how you want to respond, you know, where you want to go, what decision you want to make, rather than just reacting emotionally or you know like knee-jerk reactions all the time that may not be the right decision in that moment. 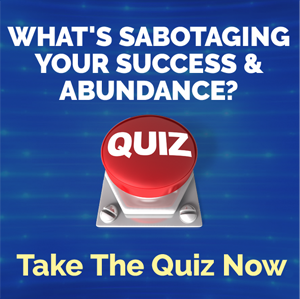 When you’re operating from this place of calmness, it’s like you get to see more options and you get to make a choice you know, which can completely change the trajectory of your life. TC: Yeah. And we tend to live in a very confined space in our lives based upon the confined space in our head, and yeah, even for me, leaving finance and running a global meditation movement and a feature film, you know, these were impulses of ideas, these creative impulses that come through, sometimes even in meditation, you know a lot of meditations and you’ll learn this on the workshop, is that it’s not like you’re going to have this empty mind the whole time, sometimes you get incredible epiphanies, I’m sure you too Natalie, these amazing creative impulses about which way to go with your life and there’s an almost an infinite capacity, an infinite possibility there so I would have never have thought that I was bringing a cinematic feature film to the world and here I am you know, with that little impulse that came through in meditation and slowly just seeing that manifest and now we’re on the cusp of about to release that. So yeah, it’s quite exciting. NL: (inaudible) So Tom, where can we send people if they want to connect with you and find out more about the Stillness Project, where can we send them to do that? TC: Yeah, I mean they can easily just head over to stillnessproject.com, so it’s without the ‘the’, so just stillnessproject.com. And if they want to keep up to date with the film release, they can go to the portalmovie.com, it’s a temporary website we’re just building out our website now but at least you’ll be able to leave your email there and we’ll be able to stay in touch with you and let you know about any developments that are happening with the film and keep you up to date with everything. NL: That’s awesome. Now we’re also going to have a banner or link here as well so that you can go through and find out more about the Mind Heart Connect event which is May 3rd to 5th on the Gold Coast in Australia. We would love for you to come and join us in person so that we can have that connection. It’s just you know, you’re in an environment or an event where everyone is like-minded. You’re having high-level conversations and you’re getting to connect with people like Tom and myself and Dr. Joe and you know, all these guys. So please come and join us. So click on the link or the banner here so that you can find out more about that event as well. So thanks again Tom for joining me. It’s great chatting to you today. TC: Great chatting and I hope to see you come up and say hello if you’re at Gold Coast Mind Heart Connect, I’d love to meet you there. NL: Yeah, love to meet you. So guys, thank you so much for joining us today. Please share this video, let’s get the word out. You can do that by clicking the facebook and the twitter share buttons on this page. Go through to stillnessproject.com or click on the link to find out more about the Mind Heart Connect event. And so until next time, remember to live large, choose courageously, and love without limits. We’ll see you soon.